Sometimes there is just a pretty flower that catches your eye. I was talking with my students after yoga class one day and I noticed this in the landscaping at the community center. My students were laughing at me because they knew the names of all the flowers and plants and I had no idea. I thought this one was pretty. To me, it is a flower for today’s Friday Photo. Do you know what it is? This entry was posted on August 4, 2017 at 5:00 pm	and is filed under Friday Photo. Tagged: Cypress Community Center, flower, Friday Photo, yellow flower, Yoga class, yoga students. You can follow any responses to this entry through the RSS 2.0 feed. You can leave a response, or trackback from your own site. I don’t know the names of these plants either. Yay. I am not the only one! 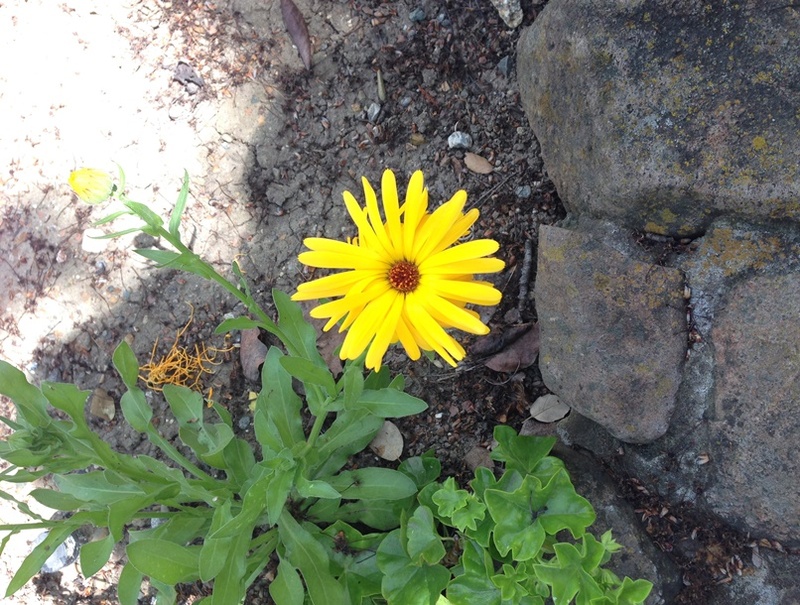 Pretty yellow flower. I looked on the internet Terre and what I could find was only related images. The closest I came to the name of this flower is that it might be an Alaskan Wild Flower but not sure. If you want to compare the pictures of the flowers go to alaskawildflowers.us Hope this helps. Ha, that could be it. I am sure my yoga students know. I am sure they even told me. I think that there is one on the site you shared that looks pretty close. Probably it! Thanks. I was thinking it was a daisy. Some kind of Daisy, I think, but I’m not sure either! Yes, it looks like a daisy. And I was in such a hurry yesterday after yoga, I forgot to ask my students. Maybe next week!